Calvin Klein presents the new fragrance Deep Euphoria as a variation on the theme of the original Euphoria launched in 2005, which, although a flanker, is allegedly bringing a completely new composition of clear chypre-floral character to the table. Unlike the rest of the collection, Deep Euphoria will stand as a separate pillar within the line, side by side with the original. The fresh start includes cascalone molecule, mandarin leaf and white pepper. Rose, the kind that is called “black magic” rose, rules the composition in combination with white peony and the chypre base of patchouli and musk. The composition is developed by Honorine Blanc and Ann Gottlieb of Fiermenich. Actress Margot Robbie is the new face of the campaign. The photographs were taken by Craig McDean, with the video directed by Francis Lawrence. In addition, a digital campaign is planned. The creative directors of the campaign are Trey Laird of Laird + Partners. 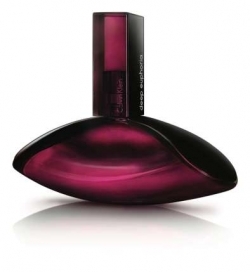 Calvin Klein Deep Euphoria will be available as a 30, 50 and 100 ml Eau de Parfum with lotion, shower gel and rollerball. Deep Euphoria was launched in 2016.